CPT SMASH shares the differences in training women vs men for muscular size. Now most gals are absolutely terrified of gaining any extra muscle mass, despite the fact that muscle mass provides the overall tone and shape of a muscle underneath the skin. The myth that most women get bulky with lifting weights simply isn't true, unless a woman is lifting heavy and not handling her nutrition appropriately. In that case where the nutrition is unchanged and weights are being lifted, most women will simply be gaining muscle and not burning any additional fat, which in term leaves them 'bulky'. One has to consider that nutritional changes will need to take place in any training program to achieve a desired effect and fat loss is no different. Now in order to gain muscle size, the general rules still apply. Overload the muscles. Provide a high metabolic stress response on the muscles and increase overall tension per unit of time. 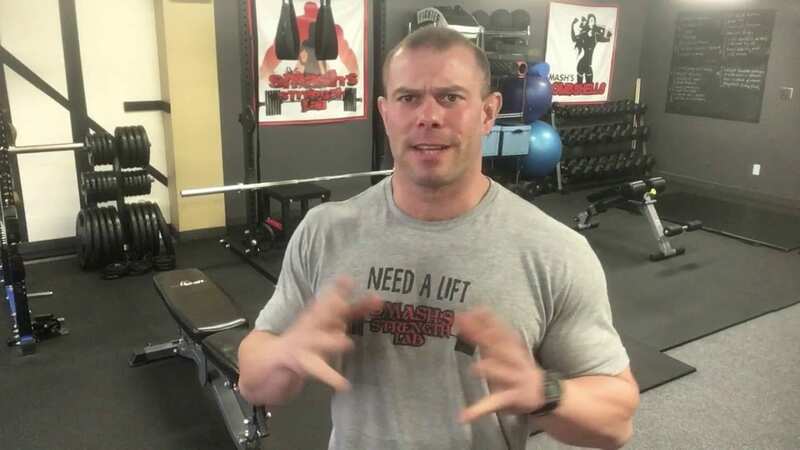 My favorite quote of Bret Contreras, whom I'm almost certain he stole it from Brad Schofield was that, "hypertrophy is regulated by three things, load or overall weight lifted, volume (time under tension) and metabolic stress." A bit paraphrased, but you get the gist of it. This principle applies to both men and women. You apply enough load, volume and metabolic stress, muscles get bigger. Pretty simple formula. So now let's look at the differences between men and women in this pursuit of muscle size. Loading parameters for women are slightly different than that of a man. Most women have a very small amount of loading potential in the upper body, since they have less overall upper body mass and tend to have somewhat slower neuromuscular recruitment abilities (not that this cannot be changed with training). Therefore they don't have the ability to jump upwards in weight at the same level as the men do. General recommendation is that women can achieve a 1.5lb to 2.5lb jump in weight about every week or so at the beginning level. It is also easier for women to perform more overall reps at a certain percentage of their 1RM than the typical male. So therefore you see a lot of women doing more higher rep sets. This is fine, but up to a point. Women still need to get more overall loading potential to see size development versus doing too many sets of 15-20 reps.
Often times it is better to have a smaller barbell with a smaller diameter for upper body pressing work specifically for the ladies who may have smaller hand sizes and overall smaller upper body mass, at least until they can press in a controlled fashion and learn how to grind through resistance. But overall, weight increases for upper body strength are small. For the lower body, the weight increases change dramatically to more in alignment with the guys. As long as the core integrity is sound and proper bracing mechanics have been taught, women can achieve a great deal of lower body loading with increases of 5lb - 7lbs for larger leg exercises like squats and deadlifts. Again, this varies on the overall ability of the individual, but it is common for women to achieve similar feats of strength in comparison with the men. (Aside: I actually really enjoy watching some of the ladies outlift the men and try to get all of my gals able to compete with any of the boys). As far as set and rep considerations for women vs men, they are primarily the same and will vary depending on the individual. Some women do better with lower reps (ie. 5-8, 8-12), some women do better with higher reps (ie. 12-15 reps), it really depends on the individual and their own biomechanics. A good rule of thumb is to train it all! Program your training to include higher loads with low reps for building strength, moderate loads with moderate reps to build more mass, and then higher reps to incur a good metabolic conditioning responses or develop metabolic fatigue. Now we can see that women thrive on a higher level of volume when training, whether it's a factor of metabolism and utilizing more fat oxidation during their workouts or simply a higher tolerance to lactic acid development, women can often outperform the men in terms of overall volume of exercises. All we have to look at for a comparison is the higher level CrossFit competitors. They conduct a killer amount of overall work per unit of time with a descent percentage of maximal load and look amazing. This plus their ability to recover from grueling exercises much quicker than most males makes circuit training or superset type training more appealing for women to improve upon their level of muscular development. Women therefore need a much shorter recovery window with an average of about 45-60sec break in-between larger exercises like squats, deadlifts, pull-ups, etc. And even shorter rest ranges (30-45sec) on small muscle groups (ie. biceps, triceps, abdominals, etc.) in order to get optimal development and achieve overall metabolic stress for those affected muscles. Throwing in conditioning drills and anaerobic type work at the end can work especially well for women trying to both increase muscle mass and drop body fat levels as well. Providing they are fairly well trained and have good movement skills. Now for optimizing the female form for physique shows and just general appeal, most women should focus on shoulder, tricep, lat development for that nice V-shape and wider shoulders. This will also help increase their ability to lift more weights since they'll have more prime movers up top. For the lower body, women tend to neglect or not train the hamstrings and glutes hard enough to cause a good amount of posterior chain development. They rely on smaller exercises or assistance exercises that don't provide enough overload to the tissues and therefore don't get the adequate stimulus to grow. Focusing on exercises like heavy deadlifts, lunges, squats, and then following with assistance work can bring these areas up to par with the rest of their physique. Gotta get underneath those heavy weights ladies! Additionally providing some hard sprint type conditioning will help provide an optimal stimulus for developing the posterior chain adequately for a superior physique on any bodybuilding stage. So that's a couple quick things that can help increase muscle mass gains for females. The ladies can train a with a bit more volume, use shorter rest periods, at moderate to heavy loads with explosive conditioning to help tone and firm up those stubborn muscles. Don't get discouraged that you can't lift with the boys right away, because with a bit of practice and disciplined training you will blow them away. Keep after it, don't quit and lift those heavy weights. Sign up for more articles and videos on SMASH's Newsletter, just click the link.